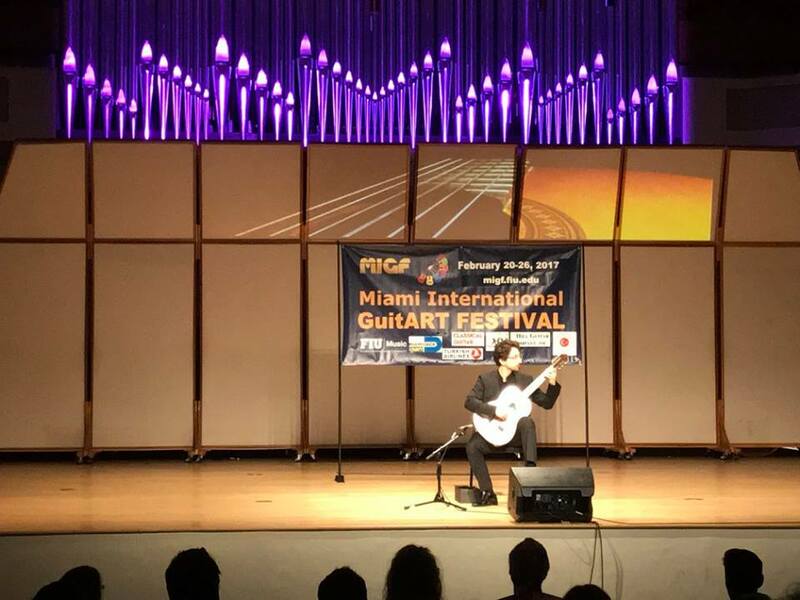 The Miami International GuitART Festival presents the inaugural Concert Artist Performance Competition with four guitarists performing in the finals. Each of the finalists will be playing a 25-minute program with free-choice repertoire. The finalists will share $9,000 in prizes. The Finals Jury Members are Eduardo Martín, Iliana Matos, Marcin Dylla, Rene Izquierdo, Pierre Bibault, Orlando Jacinto Garcia, Carlos Rafael Rivera, Martín Pedreira Rodríguez, and Frank Koonce (chair).